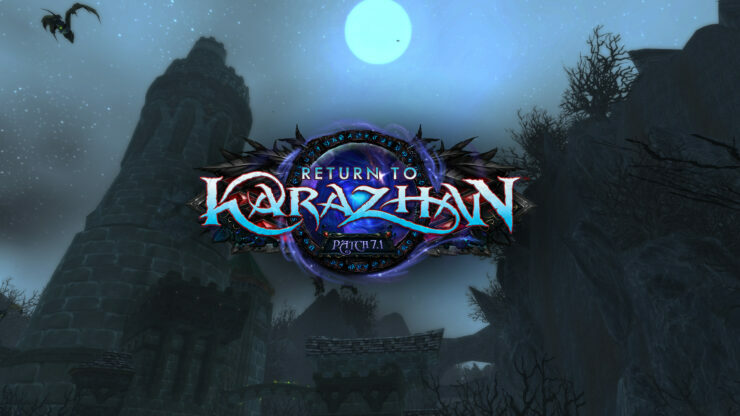 World of Warcraft: Legion patch 7.1 “Return to Karazhan” will be deployed later today and Blizzard has released the full patch notes. Patch 7.1 has been live on the PTR for several weeks now, and will be rolled out for the public later today in the US. Those in Europe will receive the update tomorrow. The “Return to Karazhan” patch reintroduces Karazhan as a large 5-man Mythic dungeon, and the new Trial of Valor Raid which will unlock in two weeks. Furthermore, Legion patch 7.1 features tons of class changes, new items, levelling and PvP adjustments, changes to professions and UI improvements. If you’re interesting in some screenshots taken in the new Karazhan dungeon, check out this post. Check out the official patch notes for patch 7.1 down below. Please note that the list of changes is quite extensive. Gather a party of five seasoned adventurers and return to this legendary dungeon to face eight bosses on Mythic difficulty. It’s an experience that may turn you upside-down! Your heroic efforts in Suramar continue with a series of quests that unlock over a period of nine weeks, ultimately leading you to the very entrance of the Nighthold. Delve into the story of the Nightfallen insurrection against the Nightborne and their Legion allies, and you can obtain the wondrous Arcanist’s Manasaber mount. Look for the quest “Lockdown” to get started. A new questline that will unlock Helarjar World Quests is now available. Look for “A Call to Action” in Dalaran to discover the depth of Helya’s influence on all of the Broken Isles and contribute to the resistance. Falcosaurs are here! The coastline of the Broken Isles is under assault from an invasive, predatory species, and they’re breeding out of control! Falcosaurs drop Falcosaur Eggs and Falcosaur Feathers, reagents for new First Aid and Cooking recipes. Save an Orphaned Falcosaur pet to begin a journey toward understanding these hungry creatures, and you might find yourself with a unique new mount. Legion, the sixth World of Warcraft expansion, was released this August and managed to sell 3.3 million units on its launch day, thereby matching the sales record of previous expansions.